Livedrive is an online file storage and backup solution that provides users with a secure data storage platform. It allows users to store unlimited files that are accessible via computer or on any mobile device. We compiled Livedrive user reviews from around the web and determined that they have a mix of positive and negative ratings. We also compared their available pricing options. Users who recommended Livedrive like the unlimited storage space it provides and its efficient synchronization with any mobile device. They also like its cloud-based nature which allows them to access it from anywhere. Users who gave Livedrive negative reviews said that uploading and syncing images, videos, and other documents take too much time. Some users also complained about system crashes. A user who left a positive review on GetApp said that Livedrive is helpful in backing-up information on the cloud. He said that it gives him easy access to all the heavy knowledge-base data they need to use on a daily basis. He also said that it helps him easily manage all the information and documents they need whether they are in or out of the office. A user who left a negative review of Livedrive on Trustpilot said that the company is overpromising the users with benefits when the service itself is actually poorly implemented. He said that file uploads are very slow and that customer support is unreliable and unreachable. Livedrive has two business subscription plans: Business Express ($50/month) and Business Standard ($160/month). The main differences between the plans are the number of users and size of cloud storage, as well as access to premium features such as company branding to the online portal and ability to purchase additional storage and user allocation. For Business Standard, extra users and storage can be added for a fee. For Business Express, the allocation for users and storage are fixed and can’t be increased. Check out the list below of some of Livedrive’s features. Best Document Management Software 2018: Google Drive vs. Dropbox vs. Zoho – We looked at the most popular options and chose to review Google Drive for Work, Dropbox Business, and Zoho Docs. These services covered the range of options for small businesses in terms of ease of use, available features, and price. Best Data Backup Solutions for Small Businesses in 2017 – Learn how you can safely and securely archive your business’ important files by reading this article. It gives helpful information about the most popular data backup options for both offline and cloud-based systems. Best Cloud Database Software 2017: Airtable vs Knack vs Zoho Creator – Cloud database software makes it easy for anyone to create and deploy database-driven apps that help your small business manage and share data. In this article, find out which options are easy to use, which are intuitive, and which are priced at the most reasonable cost. Yes. Interested users can avail of a 14-day free trial. How does Livedrive keep my files safe and secure? Livedrive has strong transfer security processes. They monitor networks 24/7 with a 3-layer physical access security. 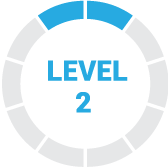 Livedrive’s UK data centers are ISO 27001 certified and fully compliant with EU privacy laws. What is a briefcase drive or folder? Livedrive’s Briefcase drive enables users to access and edit files from anywhere using a mobile device or computer. The briefcase also allows users to share files with anyone. This video explains how the Livedrive web portal functions. See how this feature makes it easier for users to view their photos and latest files from anywhere. Not sure if Livedrive is the right fit for you? Read our reviews of the top document management software or check out one of these three Livedrive alternatives. What I liked the most about this amazing software is that it offers unlimited storage space and absolute synchronization with any mobile device. It also has free applications to watch movies, open documents or listen to music directly from your files in the cloud. What I loved most is that it is too easy to install the desktop application, upload your files and documents to the cloud automatically or manually and have access to them whenever you want. There is no limit in size or quantity. It offers support for different versions of the same file that you overwrite and that you want to recover for some reason. You can also recover files that you deleted by mistake. An efficient software and the best thing is that it occupies little space. All the features are very good. The interface is very nice and almost intuitive. Therefore there is nothing that you do not like. You can also customize the upload and download limits of files, customize if the changes are made in real time or at the time you choose, you can give priority to certain file types, in general the configuration options are almost unlimited and you can adapt them to your needs. 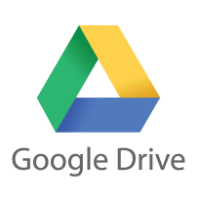 LiveDrive is an excellent file and document manager, the truth of its functions of storing any type of file and having a very fast download is what makes this platform much better for any company. The prices that LiveDrive has make this platform not look so attractive, it requires a very high price for functions that in other platforms, can be much cheaper. This platform has helped me to have a better business integrity, since your file transaction is private and fast.